Bourbon has become a hot commodity, and as it takes years to make, the supply can’t quickly ramp up to match demand. Buffalo Trace is one of many brands that have become quite popular, making it hard to find. The clerk at a local Virginia ABC store told my wife that they get a small shipment in and it “flows out like a river”, and is gone in a day. My wife found that you could check inventory of local stores online, and asked me to write a script to check it. 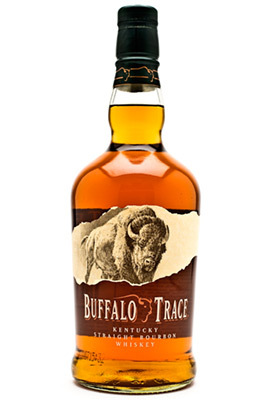 Starting tomorrow morning, the “Buffalo Hunter” script will run once a day, check the inventory at our two closest stores, and send her a text if there are any bottles in stock. There was one other “gotcha” I ran into. I use Windows. While I had found a correctly compiled phantomjs executable, when I zipped it along with the other files to upload, it lost its permissions settings. I could have booted up in Linux, instead I installed the Linux subsystem that’s available for Windows 10 and used bash to zip the files up. That ended up working fine. You also need to change the directory for the phantomjs log to the /tmp/ folder that AWS gives you write access to. This entry was posted in Uncategorized and tagged AWS lambda, beautiful soup, programming, python, selenium, web scraping by ViennaMike. Bookmark the permalink.